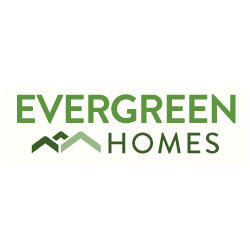 Evergreen Homes was founded in 2008 on the belief that thoughtful design, value and comfort are more important to our customers than sheer size. Our experienced team maximizes the potential of each square foot and is dedicated to providing quality, value, and customer satisfaction every step of the way. We are a family of high achievers who bring passion, dedication, and attention to detail to every customer interaction. Our owner and President, Chris Sundstrom, brings over 25 years of experience and success at Fortune 500 companies and provides a world-class level of leadership and direction. Tama, Nick, Becky, Sterling and Dave are former Olympic/elite speed skaters who understand the value of hard work, determination and sweating the details – literally. Lisa Sundstrom’s keen sense of perspective and talent with numbers keeps the team grounded and focused. The results are dream homes designed and built with care and precision. We are reasonable, fair and honest with each customer, and we value clear and transparent communication. Our approach builds more than just a house – it helps build long-lasting relationships between ourselves and our customers. We are proud to be your trusted partner, working with you to create a new home plan or modify an existing plan that is tailored to your needs, while keeping the process simple, fun, and affordable.